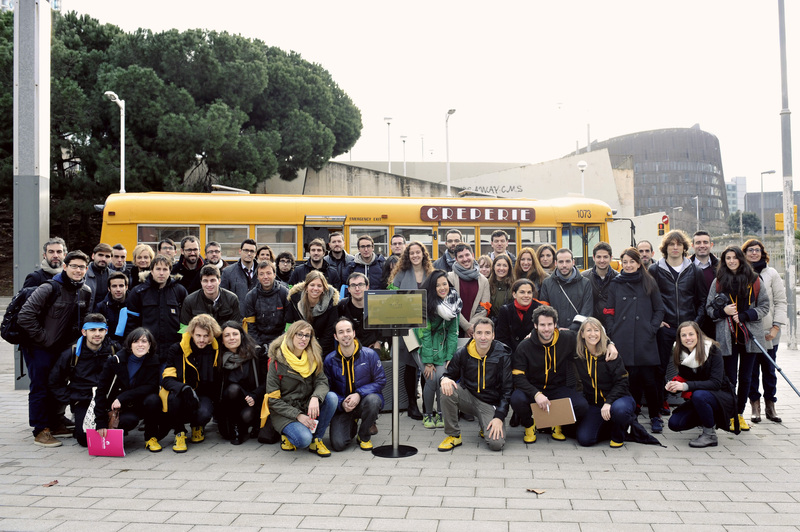 Monday morning, all the dreamers from Imagine Express 2015 landed in Barcelona after an intense journey. Since they met for the first time in Barcelona at 8 am Friday 27th at Mobile World Center they have lived incredible experiences. All participants have worked very hard to come up with outstanding projects. 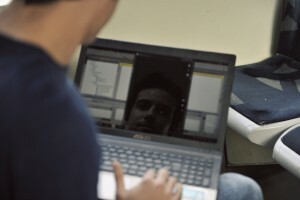 They developed their projects under a lot of pressure, 5000 minutes from start to end. It all began with an speed dating activity to form groups: one creative mind, one business profile and one developer in every team. They didn’t know each other but at the end of the journey they were authentic friends. We departed form Barcelona to Paris Friday early in the afternoon, working on the Lombard methodology and during this first part of the trip, the Dreamers focused on re- framing the problem and generating new ideas. Once in Paris and after only a few hours sleep, the dreamers started working on their prototypes, late in the afternoon they were ready to start the communication phase. We arrived to London safe and sound by Eurostar the day after. 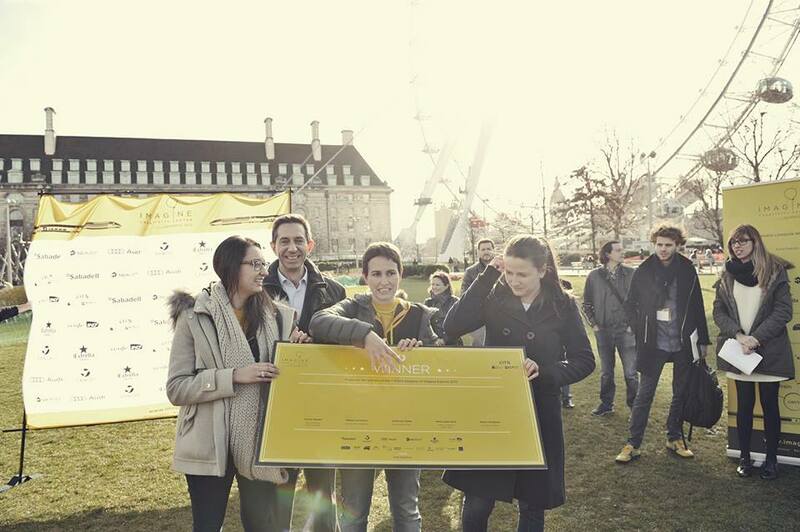 With Nerves, mixed emotions and tiredness all groups were ready to pitch their projects at London Eye in front of a very qualified jury. 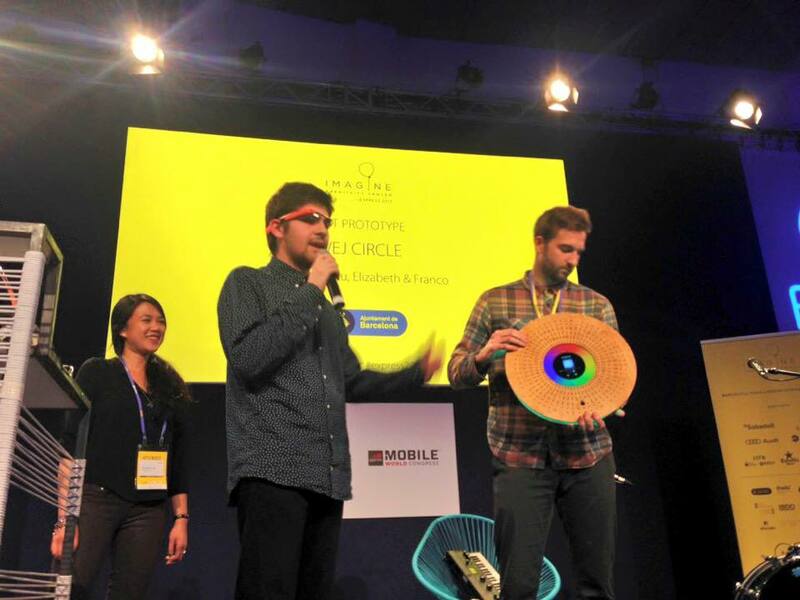 And last but not least we all flew back to Barcelona on Monday morning, by 17h o’clock in the afternoon the big event at 4YFN was taking place . Full house, high expectations and big surprises were awaiting for us. 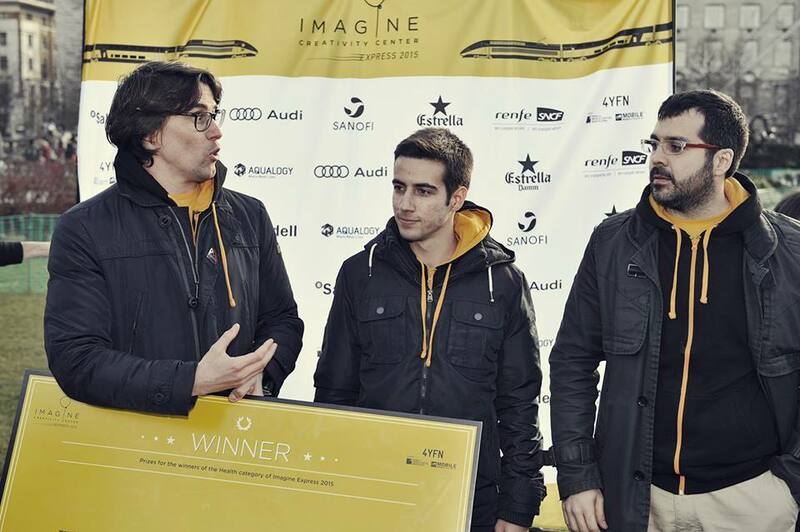 Not only the 4 winning teams ended up presenting on stage, two more groups had the possibility to do the same: Cocoon (Rodrigo Martínez, Guillem Camprodón, Oleguer Bardalet) the winning category voted by all dreamers got an special Dreamer prize and Circle WeJ (Pau Argelaguet, Elizabeth Lee, Franco Perez) received the prototype prize, this last one given by Ajuntament de Barcelona. We cannot close this post with out talking about the music challenge. 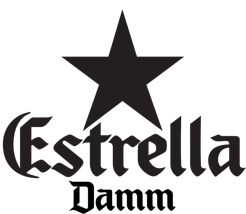 The musicians coach sponsored by Estrella Damm had the challenge to compose a song during the trip. These three musicians who didn’t know each other, formed a band, composed two songs and played a gig in less than 5000 minutes! Incredible!!!!! Treamers is their name and they played live at 4YFN event, no words to describe that beautiful and rhythmical music! 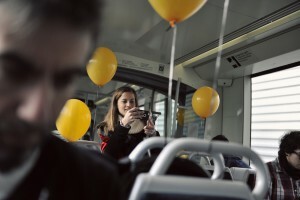 All followed by the videoclip produced and filmed by David Victori and his team, using mobile phones only. Creative talent was onboard and we are thankful to have shared this experience with them. We can’t wait for Express 2016. Thanks to everyone who made this dream come true and all of you who attended the event, hope you enjoyed it as much as we did! A few days to go and we will be on route to Paris and London! So exciting! Imagine Express will be our train-office to develop some awesome projects in the mobile apps and the Internet of Things sector. El Camino will be an app that takes you to El Camino de Santiago and encourages you to become a pilgrim in this adventure of 775km in 31 phases, it goes from Sain Jean Pied de Port to Santiago de Compostela. And you don’t even need to move out of your town! Duo Movilization is a project that encourages you to do sport together with someone from your social or family circle, it will improve your physical conditions as well as your relationships. Compete with other tandems in a local or international level and win special prizes. Dibox is an application addressed to people who suffers diabetes type 2. Overcoming challenges and using geo-localitzation, they will be able to meet routes in special places, marvellous or hidden, simple places that are probably close but they would have never found. “Digital Footprint is a water consumption gamification project. Thanks to footprints digital lecture technology, consumer profiles can be categorised. The project aims to premium responsible consumption in hotels, gyms, spas or rental apartments according to consumer profiles. WEJ Circle for Ôasys converts the process of choosing music into a social, seamless and pleasant experience through a gorgeous interface that perfectly matches the aesthetic of Ôasys device. Ôasys is an interactive device that enhance the way you experience water. Among other features you can monitor water consumption, the hydration level of your body or even detect leaks, features can easily be personalised for each member of the family. Now Wej will integrate the music to generate a holistic experience. Woow allows young passengers to interact with the exterior world from inside a car using a tablet or a mobile phone. Combining both real aspects (localization, window views) and virtual ones (device) the app encourages creative attitudes throughout a number of activities. These activities are designed in accordance with users age and aim to stimulate curiosity to learn new things on real and virtual landscapes. Thursday night we spent an evening full of emotions and happiness, thanks to everyone who came to the “Last Dreamers selection event of Imagine Express 2015″ at Fabrica Damm. Previous to the event, we did a hackaton with 4 amazing developers, the challenge lied on the development of an app in less than two hours, the jury was formed by Valenti Freixanet – Founder & CEO Biapum, CoFounder of Dineyo, Professor at ELISAVA & UVIC, Oriol Blanc – iOS Engineer at Kerad Games, S.L.and Javier Ideami- Founder of Ideami studios, Fernando Garcia – Freelance senior mobile developer gave the seat to Olaguer Bardalet. Congratulations and welcome on board! Creative minds had a 90 seconds pitch opportunity to expose their ideas with some visual materials support in front of a full-house audience, the jury formed by Philippe Delespesse – Fundador de Inteligencia Creativa y Binnakle Innovation Games, Silvia Carrascosa – Responsable of Audi Attitudes, Jéssica Fernández – Manager of Engineering Project Area at Elisava and Dan Peisajovich – Founding Partner of Complot Escuela de Creativos, the winner of this contest is Carlos Caballero. Congratulations and welcome on board! Last but not least the Business profiles had the challenge to make a pitch about themselves and convince the audience and the jury that he or she was the best person to fill the position, the jury formed by Cristina Salvador – Directora en aPortada, Maria Salamero – Directora Aqualogy Development Network (ADN) en AGBAR, Xavier Olba – Digital Business Strategy Manager for Sanofi Iberia and David Roman – Associate Professor EADA Business School gave the seat to Pau Rodríguez. Congratulations and welcome on board! We had the pleasure to announce the full official list of Dreamers Express 2015. Selected from more than 2000 applicants who came out of the 22 contests we organised across the country, 36 dreamers who are going to live an unforgetable experience. The evening moved on with great surprises, the ” Estrella Damm music challenge”, will be a new event within Imagine Express 2015. The bar carriage will be set up as a recording studio and 3 musicians from different music backgrounds and who don’t know each other ( two of them don’t even speak the same language), they will have to compose a song during the train journey. 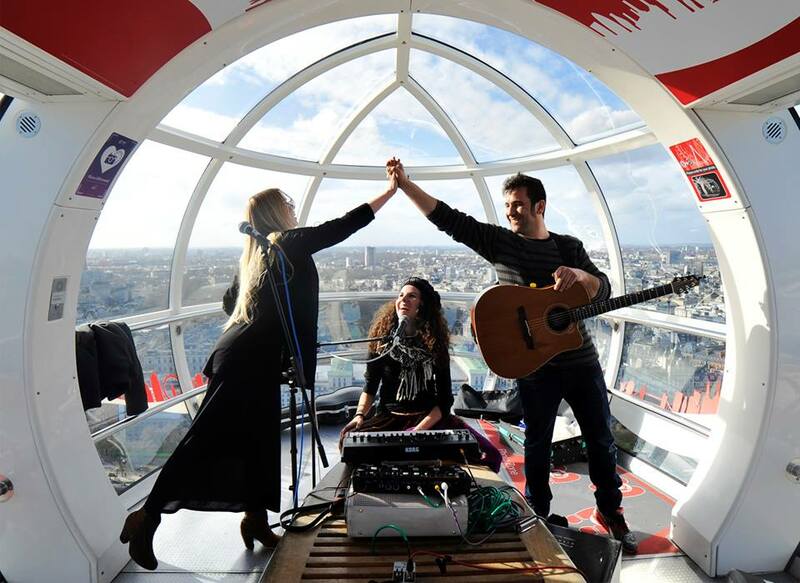 Their first gig will be at the London Eye once the train arrives to London. 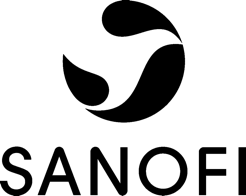 In addition, we will have on board a great team of cinematographers, lead by David Victori- world winner of youtube first film festival, they will have the challenge to film a video clip using smart phones only, a narrative video piece that will reflect the creativity process of these musicians. To finish, we would like to especially thanks to partners who joined us in this adventure: Sanofi, Audi, Banco Sabadell, Aquology, Estrella Damm and a long list of collaborators , you made this dream come true. The countdown starts now, one week to depart! Santiago Flores and Luis Moreno have been chosen to represent Everis as business profile dreamers at Imagine Express 2015. Congratulation and welcome on board! Santiago Flores joined Everis in 2005 as Senior Consultant and last year was promoted to a managing position within the company. He has a passion for technology and entrepreneurship, he co-founded the company Egineos. Among other interests he loves the world of mobile apps. Luis Moreno has an extensive experience as a business and software developer , he has contributed in the growth of Liferay since 2011 and he is currently holding a managing position at Everis. His passion for technology led him to start android.es few years ago, and nowadays is “The worldwide leader Android spanish blog”. everis an NTT DATA Company is a is a multinational consulting firm that offers business, strategy, development and maintenance solutions of technological applications, and outsourcing. 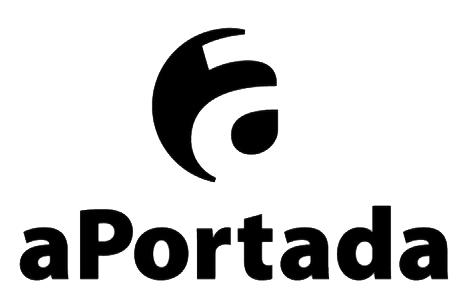 The company, which operates in the telecommunication sector, financial institutions, industry, utilities, energy, public administration and health, achieved a turnover of 591 million euros in the last fiscal year. Currently everis has 10,600 professionals located in offices and high performance centers in 13 countries. The firm belongs to NTT DATA, the sixth company in the world of IT services with 70,000 professionals and presence in Asia-Pacific, Middle East, Europe, Latin America and North America. The integration in NTT DATA allows everis expand solutions and services to its customers, increase its capabilities, technological resources, geographically and financially to help give the most innovative solutions to its customers. 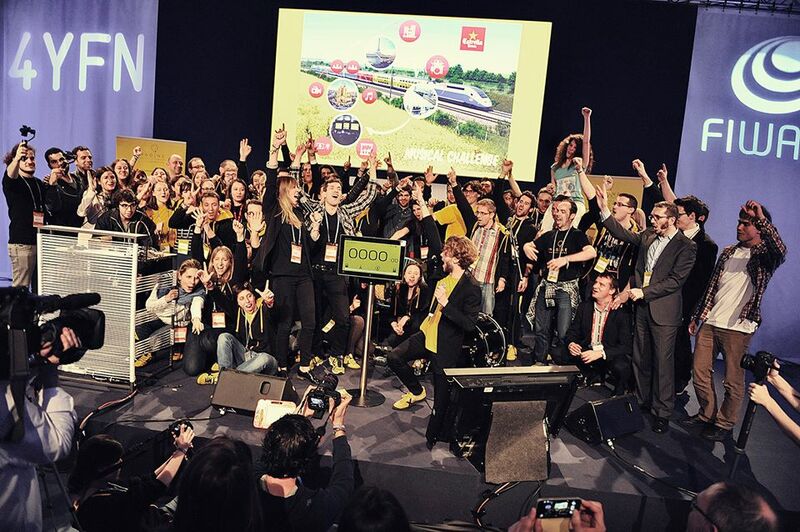 Only a few weeks to go before the Imagine Express 2015 HACKATRAIN departs! Applications are now open for Dreamers, we are looking for talented Creative Minds, Business Profiles and Developers. 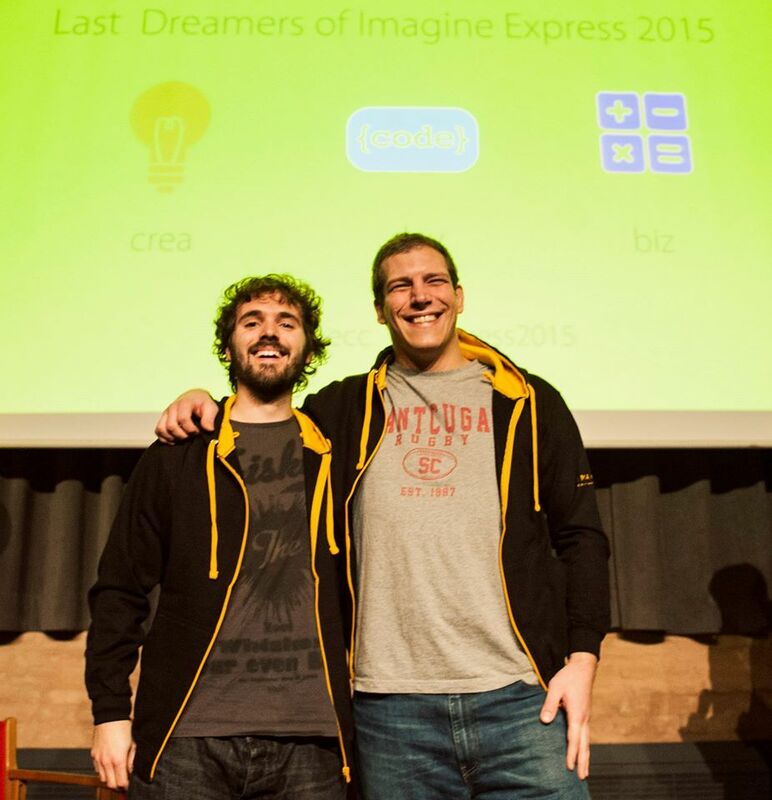 36 seats available to join Imagine Express 2015. 12 groups formed by 3 outstanding Dreamers will be created, all will foster the common goal of developing apps for one of the 4 strategic sectors selected (Fintech, Water, Health, Social Innovation). This year, our adventure partners (Audi, Sanofi, Aquology and Banco Sabadell) have thrown a few challenges for the Creative Minds applications. Read more about them here, and if you already have an amazing idea but it does not fit within these sectors, you can apply as well, as Open Theme projects. Software developers: to enter the contest you are required to have developed at least one app in the past. Business driven profiles: you will need to send a short video, presenting yourself and show off your skills to become a Dreamer! 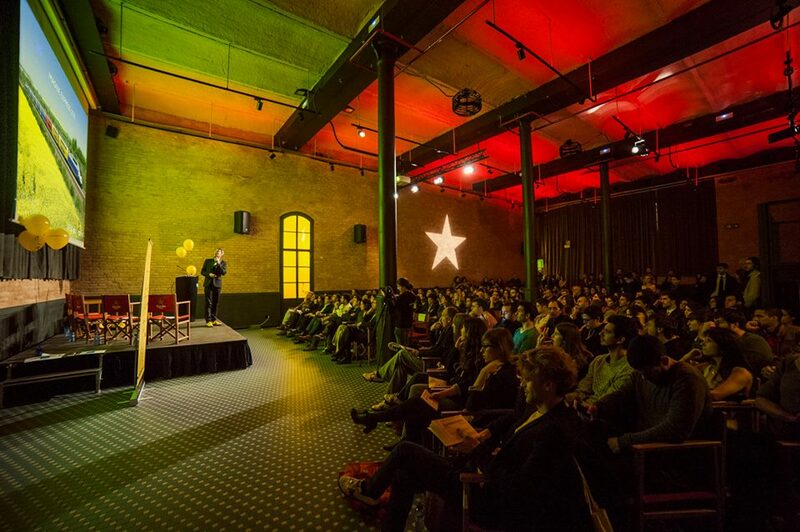 On the 19th of February (RSVP here) the 36 Dreamers will be presented at Fabrica Estrella Damm. The first 3 dreamers where selected during the HACKATRAM contest organised a couple of weeks ago at the T4 Tram line thanks to Tram Barcelona. Remember, the train departs on the 27th! First stop Paris! After a busy working day in Paris the the train will head to London. 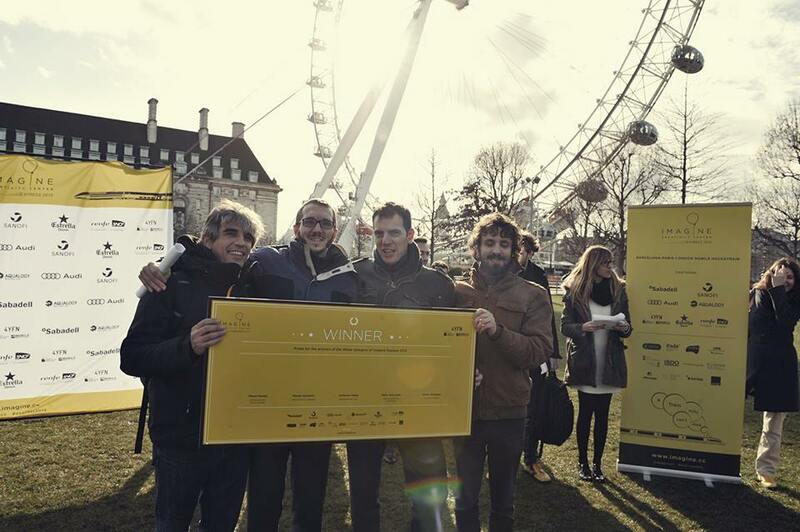 All projects will be presented in the London Eye capsules in front of investors and mentors. 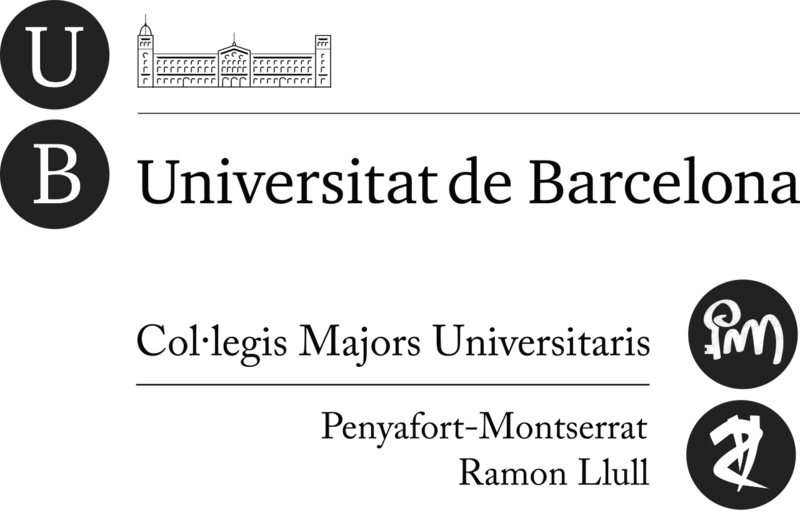 The 4 winning projects will also present the day after, back in Barcelona at the Mobile World Congress. Three intense days full of creativity, technology and idea generation. A great adventure is about to begin, if you have never heard about Imagine Express, watch this video, you’ll get a taste of what’s about to come. Applications closing date is on the 16th of February. Don’t miss this train! So here we are again. Today is the day, we are presenting the forthcoming edition of Imagine Express at Arts Santa Monica in Barcelona. 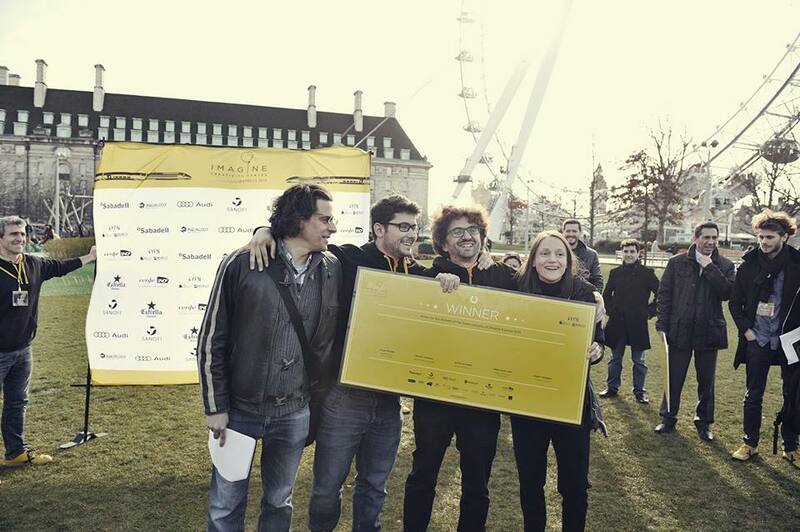 For those who don’t know about Imagine Express is a hackatrain, by this we mean, we are looking for talented business people, outstanding developers and fresh designers who will have the challenge to develop an app during a train trip that departs from Barcelona, stops in Paris and keeps moving until London and returns to Barcelona. 4 DAYS, 12 TEAMS (3 people in each) and BIG challenges. This morning we have planned a small hackatram, yes inside the tram. The journey has been awesome. 9 developers, 6 creatives and 6 business. They all have done their pitches but only 3 will jump in the HACKATRAIN. The new DREAMERS will be announce tonight at Arts Santa Monica at 19pm, and the call for the new ones (33 more places) is opened from today. Come and see us this eve to know all details! Online from tomorrow. Here some images of today, Enjoy!